Maui Gas Highest in the US - NOT! Unreal and it's going to get worse yet. 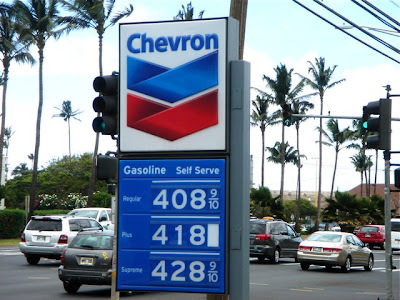 As usual, our Maui Gas is the highest in the nation and my SUV requires the Supreme grade $4.28/gallon. Ouch! The prices are supposed to go up yet. The BMW X5 is going back to the dealer at the end of the year when the lease is done, thank goodness.